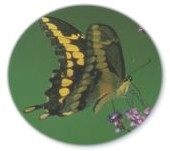 In 2001 thirty participants found 1,132 butterflies of 55 species. The Ojibway Prairie Complex received the majority of coverage. Paul Pratt led at Spring Garden Prairie ANSI. Karen Cedar led in Ojibway and Tallgrass Prairie Parks. Betty Learmouth searched the Chrysler Canada Greenway while Jeff Larson covered the LaSalle Woodlot ESA, Black Oak Heritage Park and portions of Spring Garden. The Kulons explored the Ojibway Prairie Provincial Nature Reserve. The count was hosted by the Ojibway Nature Centre, Windsor Parks & Recreation. The Friends of Ojibway Prairie sponsored a picnic lunch which was provided by Deb Waugh. Flight seasons for most species appeared to be normal in 2001. The count day was very cloudy with brief periods of sunshine in the morning. This reduced individual count totals significantly. 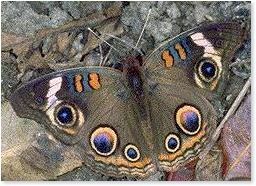 65 species have been recorded over the past eight butterfly counts. Gordon Barnett, Sandy Benvenuto, Maurice Bottos, Patricia Broad, Margaret Calder, Heather Campbell, Susan Casazza, Karen Cedar, Gerry Clements, Paul DesJardins, Shirley Grondin, Barbara Hayes, Rich King, Ben Kulon, Brenda Kulon, Jeff Larson, Betty Learmouth, Cathy Lesperance, Terri Light, Ken Newman, Margaret Newman, Judy Owens, Emily Pancheshan, Matthew Pancheshan, Nancy Pancheshan, Paul Pratt, Pauline Renaud, Bonnie Ross, Neena Roumell, Andy Simko, Michael Simko. Caterpillars found during the count included two Monarchs on milkweed and a Giant Swallowtail on prickly ash.